The Flu Season is Here! Are You Protected? The predominant virus for this season is the H1N1. The H7N9 is not in the U.S. as of this writing. The big distinguishing event this season is that the virus is affecting the obese population much more severely and it is predicted to last all the way through March. It is predicted that before the end of this season 200,000 people in the U.S. will be hospitalized for the flu and 36,000 people will die from it worldwide. The people at highest risk are those with Asthma, Diabetes, Heart disease, and obesity. The complications are Pneumonia, Bronchitis, Sinus Infections, Ear infections, Asthma and Reyes Syndrome. The latter is usually associated with Aspirin use and flu symptoms. It can cause swelling of the brain and liver and can be potentially lethal. Some preventative measures are to stay away from someone suspected of having the flu, disinfect toys, TV remotes, phones, door handles and hands frequently. Should I get the flu shot now, even though it’s February? Yes. What else can I do to prevent getting the flu? The flu is an intestinal bird virus that enters the body through the intestines. Telemorx® is one of our nutraceuticals that has a large amount of IgG which is the immunoglobulin that kills intestinal viruses and therefore can prevent you from getting the flu. 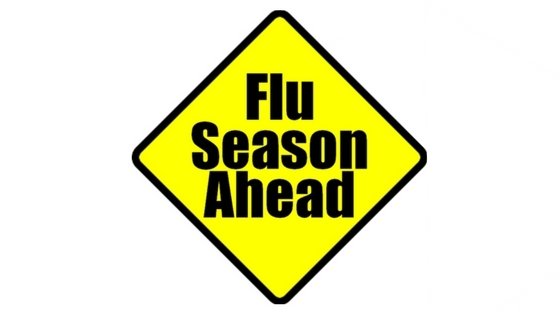 If you do get the flu start on Tamiflu immediately, drink lots of fluids and rest. Do not take Aspirin or Antibiotics as the flu is a virus and it will do no good. However, should you get one of the complications of the flu, antibiotics will be necessary. - Roger Y. Murray, M.D., Fellow A.B.V.L.M., P.A. Dr. Murray’s by Scientific Neutraceuticals, LLC.